Encased by glittering glass crystals, the medium Kasbah Chandelier is expertly crafted by skilled artisans to create a stunning light design. The ornate frame features a middle-eastern style with a round form and timeless feel. 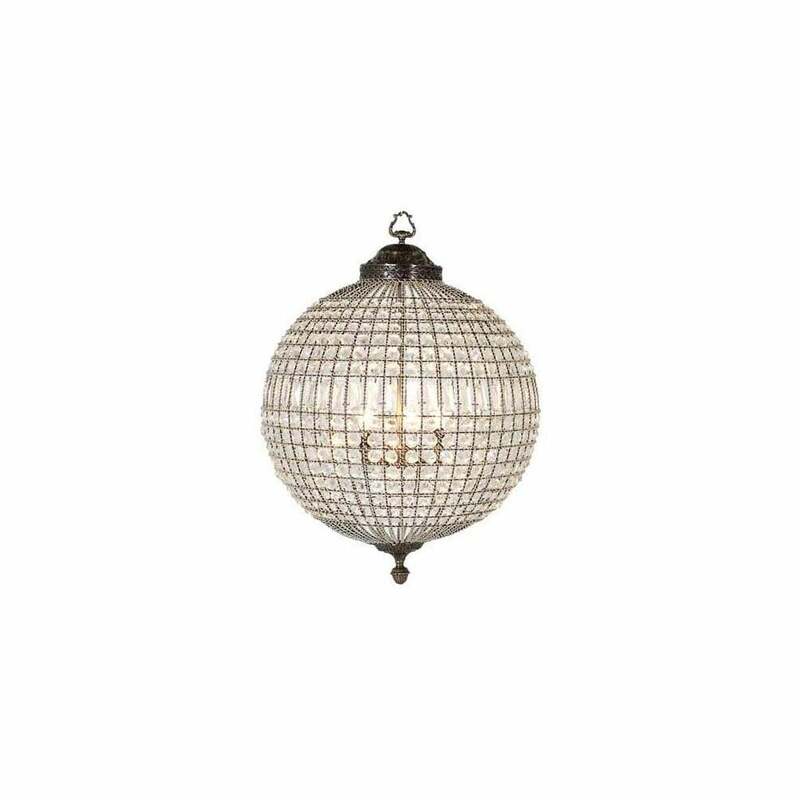 Hand-finished by leading Dutch designers, Eichholtz, this glamorous chandelier will make a stylish addition to any hallway or living space. Combine with the larger size to create a beautiful lighting display. Suspended by an adjustable chain, the Kasbah light can be extended or shortened to suit your interior requirements. Make an enquiry for more information.